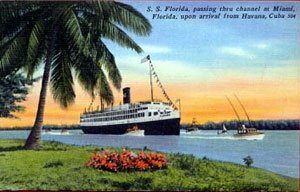 Built in 1931 as the Passenger ship SS Florida by Newport News Ship Building an Dry Dock Co., Newport News, VA. for Peninsular & Occidental Steamship Co.
Redelivered, 17 July 1946, Peninsular & Occidental Steamship Co.
19k Post card image of SS Florida moving up the channel at Miami, FL, as she arrives from Cuba, date unknown. 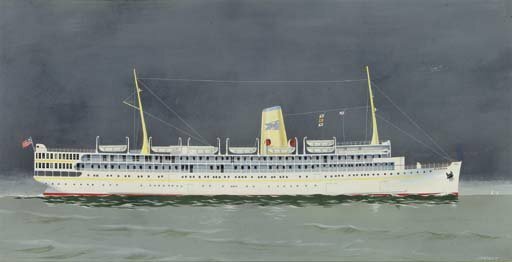 18k Painting of SS Florida under way, date and location unknown. 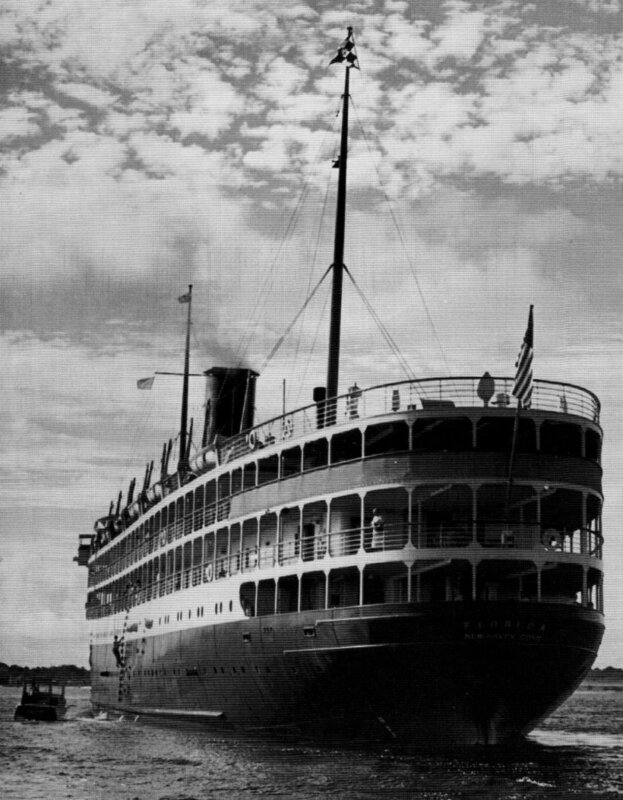 185k Stern view of SS Florida date and location unknown.